Cloud Imperium Games, the maker of Star Citizen, is offering players the chance to buy plots of land on the planets, moons or asteroids controlled by UEE, within the game. The purpose of the land claim mechanism at this time is admitted to be for development fund raising (and to help pay for the military campaign against the Vanduul). It is noted that while they are only up for sale initially for cold hard cash, the lot claim licences will in the future be purchasable with in-game credits or some other in-game play mechanism. At the time of writing plots are not yet available to claim or purchase. 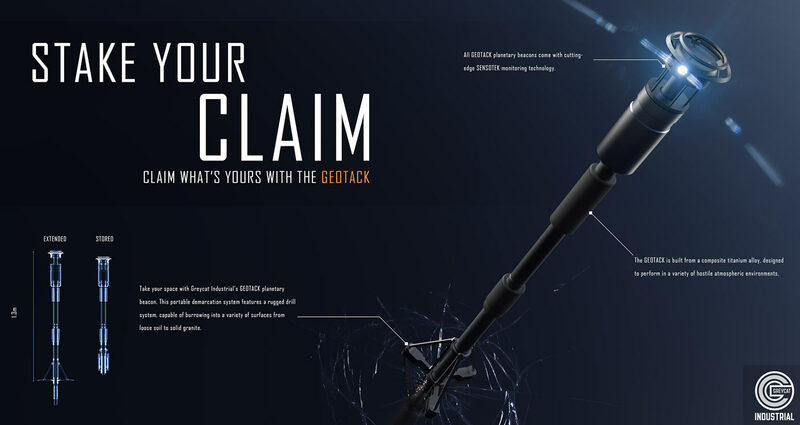 Each claim license comes with a claim beacon which, placed on the land, stores the coordinates of the land parcel you own. 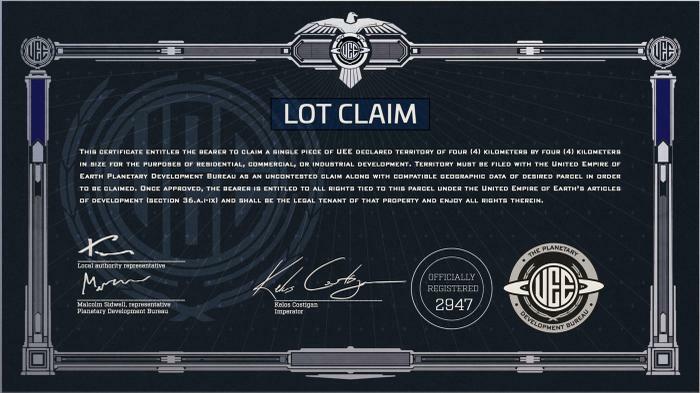 In the game you take the module from the placed beacon and head on over to the UEE Planetary Development office in order to execute a claim license on the designated property - as long as it doesn't encroach upon previous registered claims. A further purpose of the beacon is to monitor your land for intrusion, for weather conditions, and so on. The benefit having of a Lot Claim with UEE is that the land is protected by the UEE and any infringement upon your rights as a land owner will be enforced. People who violate the law by destroying your beacon, or mine your land without permission, for example, will be committing a criminal offence and there will be consequences, warns a FAQ. As well as the protections offered, land owners can extract value from an area’s natural resources, or financially speculate in the real estate market. Speculators might choose certain sites for land purchases due to their location, terrain, resources below or above the surface and so on. Some areas can't be invested in; national parks, wildlife refuges, and nature preserves can't be claimed or exploited legally. Perhaps Star Citizen lot claims could be a great investment, the next Bitcoin? Addressing this, and the worry that the 'best' plots will be grabbed by speculators quickly, Cloud Imperium says that there are billions of square kilometres of available land over many planets and moons and the enormity of the resource should moderate demand-based price increases. This ‘game’ is looking more and more like a scam as each week goes by. I seriously hate how people report this game. This is entirely optional to support development of the game. Just buy the base package and enjoy it for what it is if you don't want to support it further… This gives you something you can earn in game and is no worse than the DLC EA sell to allow you to skip some of the grind in Battlefield. The big difference here is the game is an MMO with no end goal with limited PVP so it doesn't really get you anything (just supporting the game).